Wherever you are and whatever you do, radio has the power to give you an instant communications network. Even on a Greenfield mine site in the middle of nowhere. 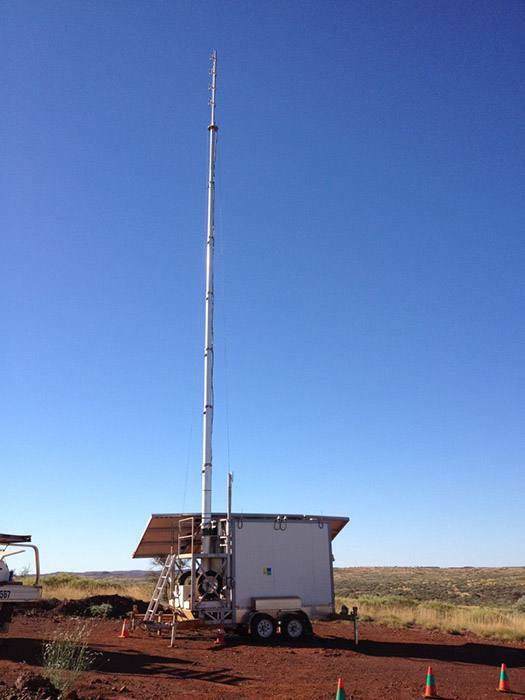 At Radlink, we’re experts in setting up radio systems in hostile and remote areas using our custom-designed and built comms trailers and transportable shelters. Many of our engineers have Defence Force experience so they understand the importance of reliable, instant communications. Radlink trailers house a solar-recharged power source, all the electronics and an antenna system to get your site’s radio network up and running almost instantly. 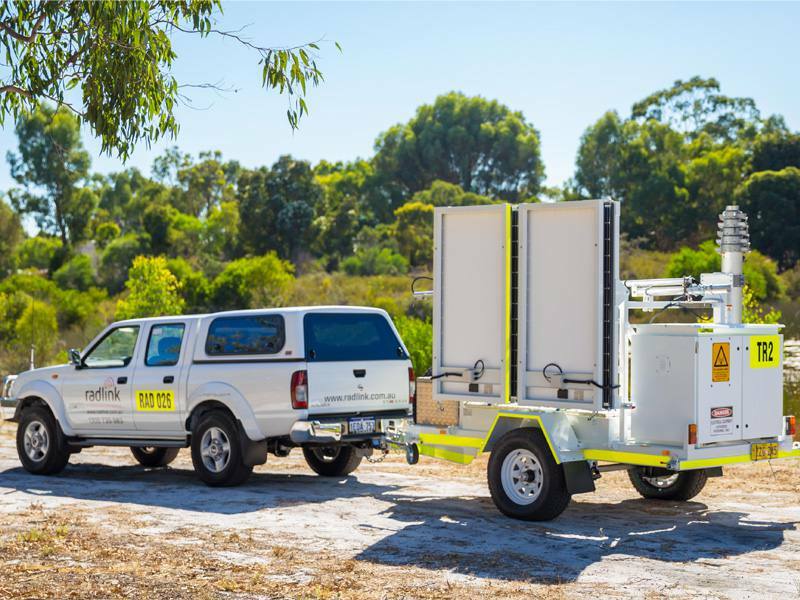 Our custom-built, trailer mounted multi-panel folding solar power solutions are perfect for instant communications on a greenfield site and a versatile way of expanding a network or avoiding radio blackspots in an existing mine. No cables to rig, no holes to dig and no permanent infrastructure required. Just easy solutions: MESH, Microwave, Tetra, Digital, WiMax. 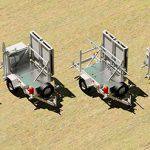 They’re designed to be easy to tow, and simple to set up. We have fully automated versions that work over RF. 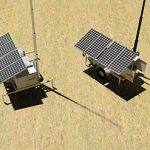 They come complete and self-sustaining and are easily towed by light vehicles. All our equipment is designed and proven to be rugged and reliable even when used in some of the country’s most remote and hostile environments. See our fully automated trailer in action in this short 1:32 video. 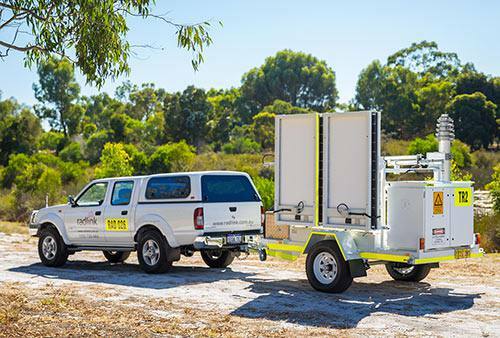 Alternatively, Radlink can provide semi-permanent but easily moveable comms hut or shipping container style shelter, skid or COWs (Cell on Wheels) utilising either solar-recharged power or diesel generators. 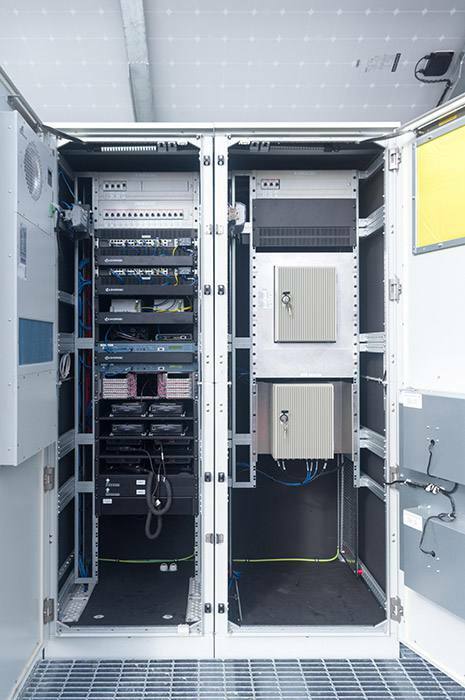 All the electronics and power solutions are housed inside a standard hut or air-conditioned cabinetry with solar panels and antenna on the roof or adjacent. The huts can be set up quickly to be operational within hours and are largely self-contained with no permanent infrastructure required. 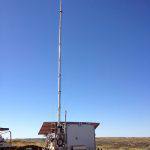 Our transportable communication bases or nodes are also useful during the normal production cycle of a mine to eliminate communications black spots as the mine’s profile changes. When a mine pit changes shape or depth, it can affect line-of-sight radio communications. 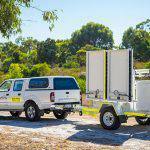 But a strategically-positioned comms trailer, transportable shelter or skid can keep comms channels open – and the pit personnel operating safely. 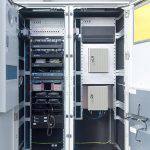 Both our comms trailers and transportable shelters can be built to cyclone standards, so your radio network will continue to provide vital communications even during extreme weather conditions.